The following industry experts have made themselves available as special council to the Pet Professional Guild Australia Steering Committee. We thank them for taking time out of their busy schedules to assist us in their areas of expertise. Their ongoing support is very much appreciated. Dr Kersti Seksel (BVSc (Hons), MRCVS, MA (Hons), FACVSc (Animal Behaviour), Diplomate ACVB, Dip ECAWBM, Registered Veterinary Specialist, (Behavioural Medicine) graduated in Veterinary Science from Sydney University and became very interested in animal behaviour while working overseas. To further her knowledge she went back to university graduating from Macquarie University with a BA in Behavioural Sciences with a major in psychology. In 1992 she began developing the program of Puppy Preschools® in veterinary hospitals around Australia. This interest led her to complete a MA (Hons) degree by thesis on the long and short term behavioural effects of puppy socialisation and training programs. She also pioneered Kitten Kindy® nationally and internationally. She is a registered veterinary specialist in Animal Behaviour, a Fellow of the Australian College of Veterinary scientists in Animal Behaviour, a Diplomate of the American College of Veterinary Behaviourists and a Diplomate of the European College of Animal Welfare and Behavioural Medicine. She is an adjunct senior lecturer at Charles Sturt University and honorary associate at University of Sydney. She currently sits on the Board of the Delta Society and is Chair of the NSW Animal Welfare Advisory Council. Kersti is the principal of a specialist referral practice for animal behaviour in Sydney (Sydney Animal Behaviour Service), sees cases at the Animal Referral Hospital and also sees clients all around Australia. She has several residents in behavioural medicine and mentors others through their behavioural membership. She is the tutor in the Behavioural Medicine Course (Distance Education for the Centre for Veterinary Education), University of Sydney. She has been President of the Australian Companion Animal Council, Chair of the Companion Animal sectoral group of the Australian Animal Welfare Strategy, sat on the Animal Welfare Advisory Working group for Dairy Australia, President of the Australian Veterinary Association, President of the Chapter of Animal Behaviour as well as Council member of the Australian College of Veterinary Scientists. Kersti has presented at numerous conferences and meetings in Australia, NZ, UK, France, Germany, Belgium, Estonia and other European countries, USA, China, South Africa and Japan. She has published numerous papers in scientific journals, magazines and periodicals, numerous chapters in numerous text books, written a book ‘Training Your Cat’ and is a regular contributor to print and electronic media. 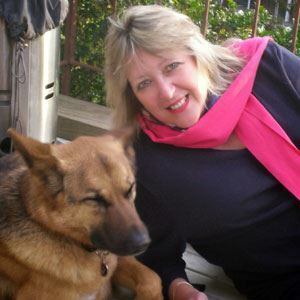 Currently she is a regular presenter on ABC radio on pet care, and behaviour columnist for Dog’s Life Magazine and contributor to several other magazines as well as a consultant on VIN (Veterinary Information Network) in the USA. Professor McGreevy is a RCVS Recognised Specialist in Veterinary Behavioural Medicine, and Sub Dean of Animal Welfare at the University of Sydney. Professor McGreevy’s research interests include, amongst others, animal welfare science, and learning theory as applied to animal training and behaviour modification. Professor McGreevy is widely-published, including Carrots & Sticks: Principles of Animal Training in 2011. 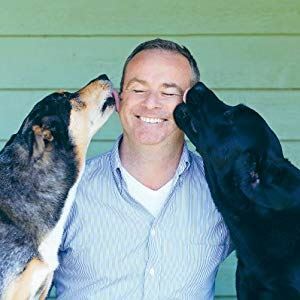 He has presented at Conferences across the globe, is sought-after for commentary in the media regarding animal behaviour & welfare, and sits on the Scientific Advisory Panel of the RSPCA (Australia), amongst much more! Dr Katrina Ward BVSc MANZCVS CMAVA graduated from the University of Queensland with a Bachelor of Veterinary Science. She has worked as a veterinarian in Australia and England for 20 years, with all types of animals from turtles to cattle, in all forms from orthopaedic surgery to cancer therapy. Since studying behavioural medicine and focusing on the mental welfare of her patients, she has acquired Membership to the Australia and New Zealand College of Veterinary Scientists. She is a Chartered Member of the Australian Veterinary Association, member of the International Society of Anthrozoology and President of the Australian Veterinary Behaviour Interest Group. Katrina’s passion is about helping to keep pets and their people together harmoniously and kindly and to ensure the welfare of all species is respected. 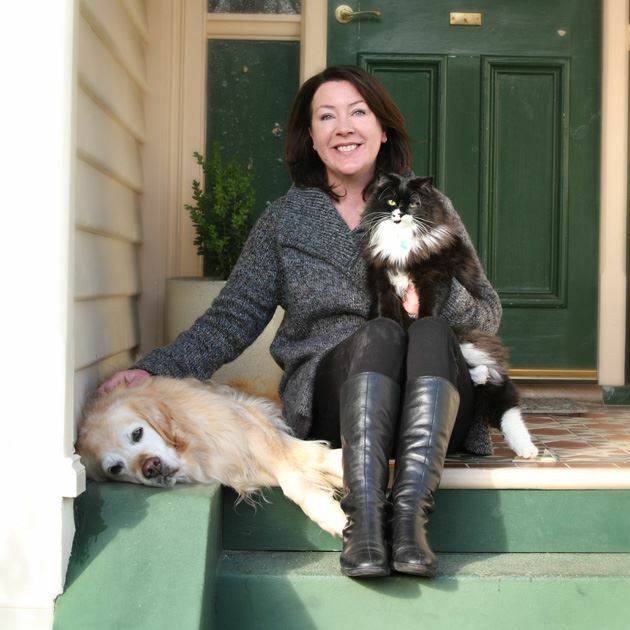 Dr Katrina runs her own business, Dr Katrina Ward Animal Behaviour Consultant, based in Hobart, Tasmania.